I have recently started practicing questions (starting with the easy questions) from the GMAT Official Guide 2018. My accuracy rate has been a consistent 90% for all the easy questions (including quant and verbal questions). Should I be concerned if I want a 700+ score? Don't I need close to a 100% accuracy rate for easy questions in order to achieve my goal? I have identified my weak areas and they are DS in the quant section and RC in the verbal section. I am working towards improving these 2 areas but I don't have much time in hand. While the various Official Guides are great sources for practice questions, there's no practical way to "translate" your performance on groups of questions from those books to how you might score on the Official GMAT. Have you taken any FULL-LENGTH CATs/mocks yet? Assuming that you took your CATs in a realistic fashion, then the data from those CATs will give us a far better idea of your current 'ability level' - and what you would need to work on to score higher. 1) How long have you studied? 3) How have you scored on EACH of your CATs (including the Quant and Verbal Scaled Scores for EACH)? 4) What is your goal score? 5) When are you planning to take the GMAT? 6) When are you planning to apply to Business School? 7) What Schools are you planning to apply to? In an adaptive test like GMAT accuracy is not the right measure to assess your performance. Accuracy cannot be directly translated to score level. Your overall score depends on how well you solve different levels of questions and in which stage of the test you falter. 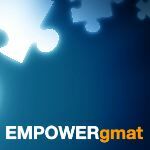 Learn how computer adaptive GMAT works. However, there is no doubt that 700 would need you to perfect the easy questions and develop good ability to solve harder problems as well. To develop the ability, solving only from OG will not help. Learn how Murali who started out his GMAT journey by solving OG questions soon realized the need for structured approach to ace GMAT. He scored 740! When are you planning to take GMAT? You can plan the remaining time effectively, using the Personalized Study Planner tool to determine Milestones (target abilities) and an estimate of effort in each sub-section. After planning, the next important step is to execute it well. Simply solving questions will not hep you improve. 1. Take Verbal Ability Quiz or Quant Ability Quiz in Scholaranium. If you have taken mock tests/solved practice questions you can analyse them as well. Learn how to analyse GMAT mock tests to course correct effectively. 2. Analyse the Skill Data section to identify the weak areas. You will get insights regarding your timing, accuracy, topic faltered on etc. 3. Improve upon the weak areas to hit your target score. Focused course correction will help you make effective use of the available time. Covering up the major gaps in your preparation in this limited time will help you score better. You can do so using the existing resources or using the resources shared below to help you with Verbal Prep. You can get access to a lot more of these videos and practice questions once you sign up for the Free Trial. 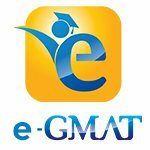 If you want to discuss the preparation strategy further feel free to contact me at support@e-gmat.com or PM me, referencing this post. Hi! 90% is a very good accuracy rate even for easy questions, especially since you are just about embarking upon your preparation. This can only be good news for your endeavor to land on the right side of 700 on GMAT. I’m glad you reached out, and I’m happy to help. I agree that it’s difficult to translate the accuracy of completing OG questions into an actual GMAT score, so first and foremost, you need to get an accurate baseline score. Thus, in short order, could you take an official MBA.com practice exam? Once you complete the exam, feel free to report back here with the score breakdown, and I can provide some further advice. Also, you may find it helpful to read this article about How to Score a 700+ on the GMAT. As EducationAisle pointed out, 90% is good, especially for someone who has just started preparing for the exam. The important thing to do here is to continue putting in effort. Start incorporating a few of the more difficult questions into your practice sets, and maybe take an official practice test sometime. And if by "I don't have much time in hand" you mean that you need to take the actual GMAT exam soon, then you should definitely take an official practice test ASAP. As expected I struggled in DS in the quant section and most of the questions that I answered incorrectly were DS questions. In the problem solving section, I struggled with Probability and Combinatorics but that's because it's been many years since I last studied them. What's surprising is that I answered 11 questions incorrectly and yet received 48. I am really disappointed with my quant results because I thought this will be the easier of the 2 sections for me to crack. In the verbal section, most of the mistakes I made were in Sentence Correction. This is odd because I thought I was better at SC than RC. I really struggled with timing in the Verbal section. I am planning to take the GMAT by mid May. I have a very demanding job and this is the closest I have got to preparing for the GMAT (I have been studying everyday since the last 3 weeks). I want to study as efficiently as possible in the next 1.5 months focusing primarily on DS, SC and RC. While these scores are encouraging, you must try not to pause your next test. This is especially important for your official practice (mba.com) tests. Those tests are the best practice tests you have, and there are only 6 of them. I think you should take one of the paid GMATPreps soon, within the next two weeks or so if you are looking to take the GMAT in May. Save practice test 2 for later. That said, 720 with a few (how many? ) pauses is still a very good first score. Keep going. I 100% agree with AjiteshArun, next time you take a practice test, DO NOT pause the test. The point of taking the practice test was to get an accurate baseline score. That said, assuming you did not pause the test too many times, 720 is a great start. Rather than basing your study plan on such a small sample size of data from your practice exam, to improve from here, you really need to go through GMAT quant and verbal carefully to find your exact weaknesses, fill gaps in your knowledge, and strengthen your skills. The overall process will be to learn all about how to answer question types with which you currently aren't very comfortable and do dozens of practice questions category by category, basically driving up your score point by point. When you do dozens of questions of the same type one after the other, you learn just what it takes to get questions of that type correct consistently. If you aren't getting close to 90 percent of questions of a certain type correct, go back and seek to better understand how that type of question works, and then do more questions of that type until you get to around at least 90 percent accuracy in your training. If you get 100 percent of some sets correct, even better. how to score a 700+ on the GMAT helpful. 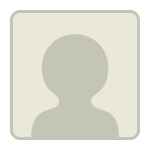 Thank you so much Scott (for a useful detailed answer and for the links) and AjiteshArun! I will incorporate what you shared in my studies/practice. I generally do tend to spend more time in reviewing and analyzing the questions that I wasn't able to answer correctly and their answer choices. For example, in RC I have identified that my issues are psychological - I end up taking more time than I should to read the passage (because I have this notion in my head that if I don't understand the passage thoroughly then I won't be able to answer the questions correctly) and then panic because I am running out of time. I am slowly learning to focus on the structure of the passage, why a certain detail was included instead of obsessing over the details etc. I have also started reading the Scientific American and I try to apply the same principles while reading an article. I have picked up Manhattan GMAT for Sentence Correction and I also try to solve 5 SC problems everyday from the Official GMAT. As for quant, I have brushed up on most of the basic material and I am now focusing only on the topics that I struggle with. Thanks again for all the advice and the useful links!